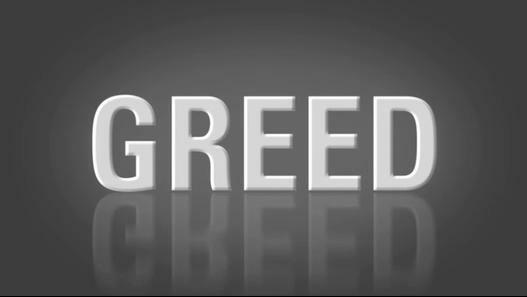 Even before Roosevelt Skerrit became Prime Minister of Dominica by default on January 7, 2004, he was already displaying his serial greed. But 13 yeas later, he is stuck in the international pit latrine of corruption and no amount of pit latrine eradication will help him. Th Dodgy Dominican Diplomats before the International Courts, the calculated silence of his colleagues in the DLP who refuse to defend him on the sale of Diplomatic passports and the recent court battles of former and current world leaders for criminal activities while in government are troubling for Skerrit. After Roosie Douglas brought him into politics for the 2000 elections, gave him a used car, Skerrit and Vince Henderson then demanded ministries in the coalition government. Skerrit didn't own a bicycle or a suit to get sworn in as a minister. After the 4% Stabilization Levy as part of the Austerity measures was implemented by the Pierre Charles government, it is alleged that Skerrit and Henderson demanded that Pierro give them back the 4% percent deducted from their salaries on a monthly basis. They received the dry cash every month in brown paper bags. In the Summer of 2003, Skerrit the then Minister of Education disrespected PM Charles and along with Frankie “Krazy Tee” Bellot and others, he went to Barbados to meet with Chinese Officials from the PRC(China). This was done while Dominica had Diplomatic ties with the ROC(Taiwan). At the time, President Charles Savarin was a minister in the DLP lead coalition government and he publicly scolded Skerrit for his greed and disrespect. It is alleged that Macau Real Estate Mogul, Ng Lap Seng and David King Hsui were present at that famous meeting. Skerrit palms were properly greased for attending that meeting. When Skerrit became Prime Minister the grease clogged his conscience and made it easy for him to sleep with the ROC for $10 million and the next day leave for the PRC to change diplomatic relations on March 23, 2004. Skerrit was laying down his foundation for his Pimping Industry with Dominica and her resources as his Whore. In December 2004, Susan Olde received her Diplomatic Passport and one for Graeme Thompson at the VIP Lounge of the Melville Hall airport. Soon after, Olde made US$400,000 available to a one time, one transaction NGO, Citizens for a Better Dominica. Tony Astaphan, confirmed that the money was used by the DLP to buy the May 5, 2005 general elections. Skerrit felt the first big benefit from pimping Dominica, so he started to look for more unsavory characters around the world to do business with. He also created his first shell company, Blaircourt Property Development Ltd to wash his dirty money with Earl “Seko” Grant as the sole shareholder of that Laundromat. We then heard of the infamous 3 Beau Bois Address, where his Baby Mama helped to hype up the passport pimping drama. Skerrit fell out with Ambassador Crispin Gregoire after the 2009 General Elections and in March 2010 Vince Henderson was sent to the United Nations to help put Skerrit’s Diplomatic passport Pimping Scheme on fleek. Skerrit didn't care if Hendo was going to school full time. He didn't care if he never represented Dominica at important UN voting meetings. Since Vince sit down in the UN’s Lobby to pimp Dominica, because Skerrit doh like Vince anyway. Ask Vince in private, what Skerrit said about his wedding and why Skerrit deliberately missed his brother’s funeral. Along with Vince and lawyers like Alick Lawrence, Lennox Lawrence, Duncan Stowe, Stephen Isidore, Gerard Burton and Kondwani Williams, Skerrit has placed dozens of Dominica’s Diplomatic passports in the hands of Tax Cheats, Rogues, Money Launderers, International Fugitives and criminals. Concerned Dominicans have been warning Skerrit for more than a decade about the wealth he has been amassing by illegal means. He even took Matt Peltier and the Times Newspaper before the court for the 2007 article, “Million Dollar Assets, $5,000 Salary.” But Skerrit’s defenders never cared about Dominica’s best interest, since they get their piece of the corrupt pie. Today the chicken is coming home to roost and the noose is tightening around the neck of Roosevelt Skerrit. The January 1, 2017, CBS 60 Minutes, “Passport for Sale”. Skerrit went into panic overdrive. Passports dollars started coming from every hole, paying for everything. Even if you have small business or no business at all, passports dollars will flow. All of a sudden, Skerrit found a new love for Dominica by staying on island for more than two weeks straight. Even Skerrit’s ministers were surprised. CBS grounded the CBI plane but the damage was already done. Four Dodgy Characters that we are aware of holding Dominica’s Diplomatic passports are before international courts. Nigerian Diezani Alison-Madueke, Italian Francesco Corallo, Iranian Alireza Zibahalat Monfared and Chinese Boss Wu. On May 29, 2015 with an approval letter by the Prime Minister of the Commonwealth of Dominica, Roosevelt Skerrit , Ex-Minister of Petroleum Resources in Nigeria, Diezani Alison-Madueke received a diplomatic passport from Dominica with the number DP0000445. In his letter, PM Skerrit stated he wanted Madueke to “pass freely without let or hindrance and afford the bearer such assistance and protection as may be necessary.” The Diplomatic passport was Issued on May 21, 2015 and to expire on May 20, 2020. On October 2, 2015 Alison-Madueke was detained by security officials in London, England on money laundering charges. Prime Minister of Dominica, Roosevelt Skerrit via a statement released on Monday, December 21, 2015, stated, “The Ministry of Foreign Affairs moved with dispatch to suspend all relations with Mrs. Alison-Madueke immediately following her arrest in October, 2015, pending the outcome of the investigations.” On July 14, 2017, the US Department of Justice announced the filing of a civil complaint seeking the forfeiture and recovery of approximately $144 million in assets that are allegedly the proceeds of foreign corruption offenses and were laundered in and through the U.S. by Madueke and two others. Also on July 17, 2017, the Federal High Court in Ikoyi has ordered the temporary forfeiture of a property at Banana Island, Lagos bought for $37.5 million in 2013 by Mrs. Alison-Madueke. She has made it very clear that she is ready to go to jail along with her co-conspirators and will speak her mind before her jail time. Has she a co-conspirator in Dominica hiding or using some of the millions that she embezzled from Nigeria? On November 10, 2011, Italy’s Guardia di Finanza (the financial unit of the tax police in Rome) raided the home and office of Francesco Corallo while investigating a questionable US $200 million loan from the Roman Banca Popolare to gaming giant Atlantis/Betplus. During the raid Corallo claimed diplomatic immunity on the grounds that he was an ambassador to the United Nations Food and Agriculture Organization (FAO) for the Commonwealth of Dominica. In August 2012, Corallo was placed on INTERPOL’s most wanted list because he was wanted in Italy for organized crime/transnational crime and fraud. On December 13, 2016, owner of Atlantis Group, Corallo was arrested in Sint Maarten and on June 21, 2017, the court in Sint Maarten declared that they approved the extradition of the casino boss to Italy for prosecution on tax evasion and bribery of several politicians and money-laundering charges. Did he bribe any politician in Dominica? Iranian born, Alireza Zibahalat Monfared, became a citizen of Dominica through the “Passport for sale” program when he received his passport number R0097918 that was issued on September 4, 2014 to be expired on September 3, 2024. On March 3, 2015 a Diplomatic passport from the Commonwealth of Dominica bearing the number DP0000426 was issued to Monfared. In January 2016, the Head of My Dominica Trade House(MDTH), Monfared was on the run from Malaysian law authorities and he ended up in Dominica. As an International fugitive, Monfared was being harboured in Dominica by Roosevelt Skerrit and Vice President of the West Indies Cricket Board(WICB) and head of the CBI unit, Emmanuel Nanthan for about 6 months while they failed to cooperate with International Law Enforcement officials. On January 12, 2017, Monfared was arrested in the Dominican Republic after a lengthy international manhunt and was extradited to face trial in Iran after extradition through Havana and Moscow. Monfared along with Reza Zarrab and Babak Zanjani were involved in Iran’s biggest-ever corruption scandal, when they embezzled $2.7 billion using the UN Oil Sanctions. Mahmoud Ahmadinejad was president of Iran during that time. David Ng aka Ng Lap Seng aka Mr. Wu aka Boss Wu aka Wu Liseng was appointed as a Dominican Ambassador on November 19, 2004, by his good friend Roosevelt Skerrit. A gift for assisting Skerrit to move from the ROC to the PRC on March 3, 2004. During August 25-26, 2015, PM Skerrit and Ambassador Vince Henderson joined Boss Wu, the late John Ashe, Ban Ki-Moon and others at the “High-level Multi-stakeholders Strategy Forum” at the Grand Hyatt Hotel, in Macau. On September 19, 2015 Boss Wu was arrested in the US for Money Laundering and Bribery of United Nations officials. He was convicted on July 27, 2017 on all six counts, including bribery, money laundering and corruption. What is Skerrit’s relationship with Boss Wu at this time? Is he still a holder of Dominica’s Diplomatic passport? If not, when and why was it revoked? Was his arrest, the main reason why Vince Henderson left the UN? 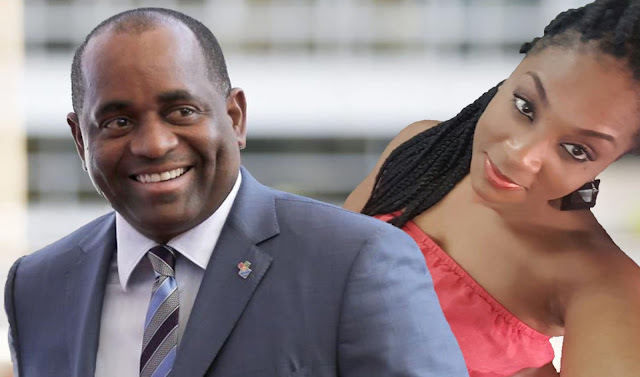 Roosevelt Skerrit has another serious problem where none of ministers are defending him on the issue of Selling Diplomatic passports and positions to crooks. They will talk about passport dollars “CBI Money” being spent under their ministries on in their constituencies but will not defend the alleged sale of Diplomatic passports to Criminals. He is alone in the cold on this one. Not even his Foreign Minister and cozy friend, Francine Baron will go that far. During the recently held debate of the 2017/18 Budget, it was confirmed that Skerrit is alone in his Diplomatic Passport comess. In recent times several former and current leaders around the world have been arrested for corrupt activities in government. They thought that they were untouchable but their ropes reached the end. Their cats nine lives were done. They were all brought back to reality and are facing the consequences. Just a few examples; Iceland’s embattled prime minister, Sigmundur Davíð Gunnlaugsson, stepped aside after public outrage about his family sheltered money offshore as revealed in the Panama Papers. Skerrit’s friend, Former Premier of the Turks & Caicos Islands, Michael Misick charged for Corruption. Another close friend of Skerrit, former prime minister of Curacao Gerrit Schotte was found guilty of bribery and sentenced for 3 years. Ehud Olmert, former prime minister of Israel got a 27-month sentence for bribery, fraud, obstruction of justice and breach of trust. Luiz Inácio Lula da Silva, once the most popular president in Brazil’s was sentenced to nine years and six months in prison after being found guilty for corruption and money-laundering. The Supreme Court of Pakistan voted unanimously to disqualify Nawaz Sharif from the prime ministership over offshore assets. Iran’s former president Mahmoud Ahmadinejad is facing sentencing after a parliamentary court found him guilty of misusing billions of dollars in government funds. Malawi police recently issued an arrest warrant for former president Joyce Banda in connection with the country's "Cashgate" corruption scandal, which involved large-scale looting of government coffers. They were elected to serve but allowed their greed to hijack their humility and service attributes. Today, they have fallen from grace, just because they were in personal financial haste. The young french man, Roosevelt Medard Skerrit whom Dominicans gave a chance to develop Dominica, but failed. Instead we created a monster. Today, he fears not his loyal subjects and apologists but the Rogues and Vagabonds that he did dirty business with over the years. I hope that he can sink his head peaceful into his pillow with both eyes closed, a clear conscience and rest happily. We were all taught that money cannot buy happiness. I will leave Skerrit and his Brother-in-law, Benton, to deal with their land issue at Morne Daniel.